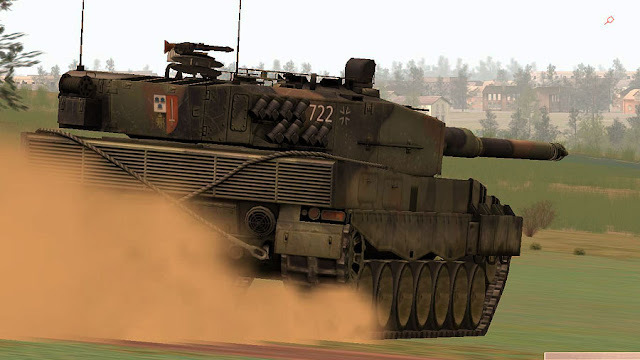 The smoke billows and the sound of tank main guns blasting at the north of the battlefield, made panzergrenadiers elsewhere in PL Mohawk wary about their retreat routes. The few in command of those men wondered how many of those very tanks firing over there would cover their retreat or shoot their rears. Instead of an ambush position with fields of fire on the enemy's flank, the men of 3rd Platoon, B Company chose the reverse slope of a small elevation by one of the bridges at PL Mohawk middle. 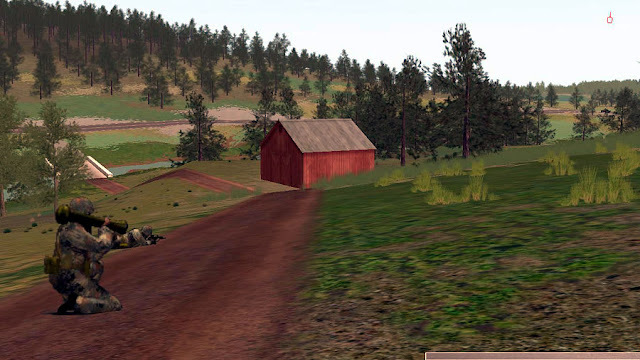 This particular choice of a battle position, so close to a bridge was a fateful one (see below). 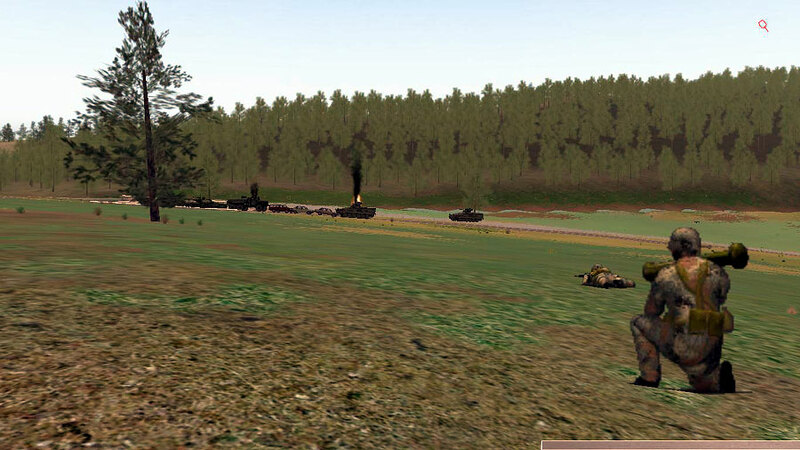 Minutes after deploying, 3rd Platoon, B Company stopped civilian vehicles fleeing from Coppenbrugge. The civilians were ordered out from their vehicles and escorted towards the woods. 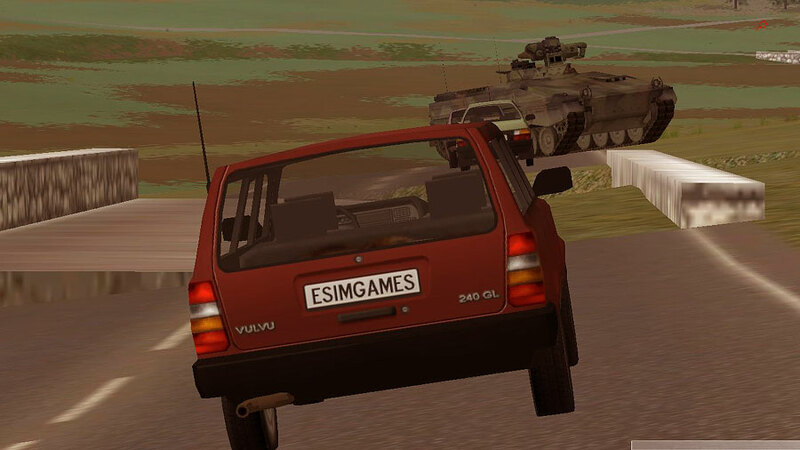 The rear of the civilian convoy was a service truck, which combined with the other civilian vehicles was good enough to provide a roadblock on the bridge. Enemy tanks didn't make the grenadiers at PL Mohawk middle wait for too long. 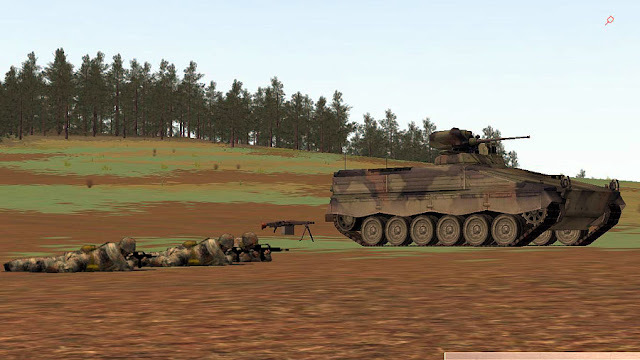 In this picture, a dismounted combat patrol squad just fired a panzerfaust on the lead enemy tank of a platoon moving west. The enemy tank (in the background, right) was destroyed from quite an impressive distance. A few hundred meters down the road, the Soviet tanks were unable to negotiate the roadblock. and were caught with the combined fires of dismounts, Marders and artillery. The Marder IFVs were no match for the Soviet tanks and were quickly destroyed. A side view of the "roadblock" at PL Mohawk middle. 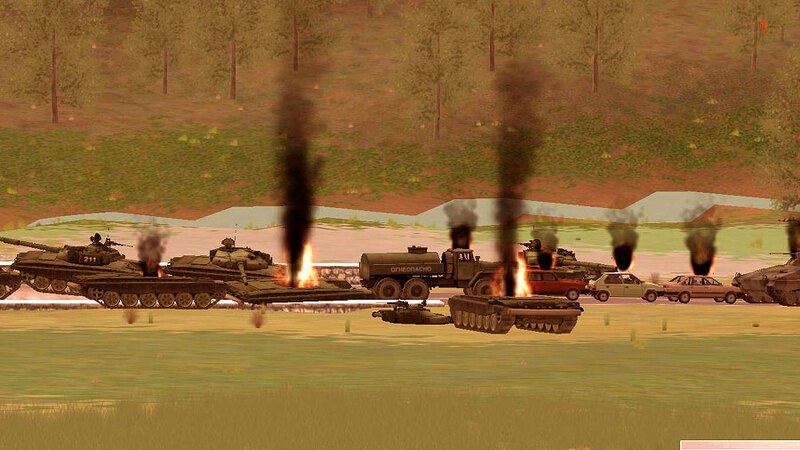 4 enemy T-72s destroyed, 3 immobilized and maybe one or two trapped between immobile hulls. In exchange for the relative successes at PL Mohawk north and middle, the position south was a complete disaster. 4th Platoon, B Company should have been hull down on the other side of that hill in the background. A complete and utter blunder. 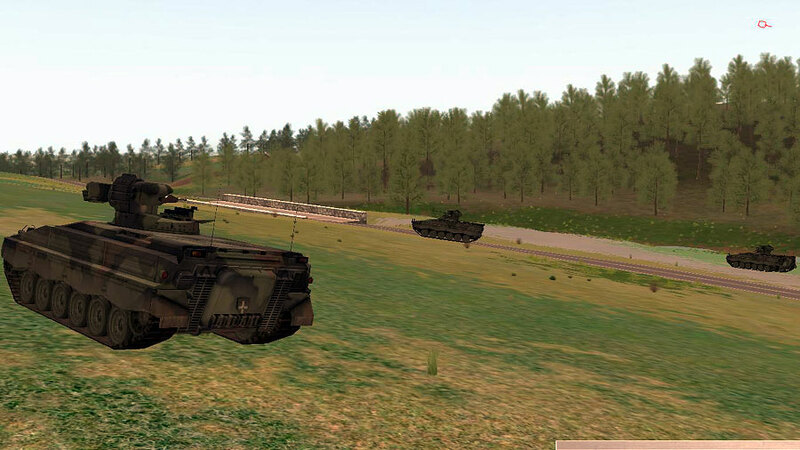 Both Marders shot in a span of seconds, the panzergrenadiers dispatched by following up Soviet tanks. It was as if they never been there. The flood gates were open and the enemy tanks are pouring through the road that connects Bisperode and Voremberg (K16). can infantry create and occupy fighting positions? do they use some kind of microrelief for cover and concealment? is there really any use for infantry in sb? oh and is it possible in steel beasts to destroy a tank without their turret popping off? Yes. Infantry combat is not SB's forte, but you can use it in the infantry role and they will succeed. Sometimes. This is a great AAR series J. Damn, that game needs shadows in a bad way... the terrain is beautiful, but the lack of shadows makes every object look like it's floating. I will hold comments on your tactics until you are finished.. but I will say that it doesn't appear you have your vehicles in hull down positions? Maybe they are and its just the camera angle that is misleading. There's a bunch of other stuff coming in 2.6x that was further up the "User Requirement List".